Mobile Mechanic Columbia MD Auto Repair Service that travel to fix your car at home & local Pre purchase Foreign Vehicle Inspection Review Call 443-743-3001 it doesn’t matter what the location is. What is important is that your day is ruined. You’ll have to miss that crucial meeting at work. You will have to urgently call your friend or parents who can pick your kids up from school. It is definitely not an enjoyable time. However, finding the appropriate mechanic can make it a little less difficult for you. 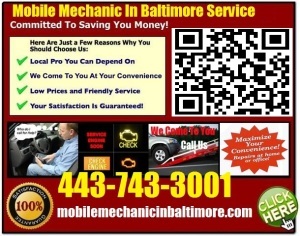 That’s where mobile mechanic Columbia Maryland can help you. Convenience is one of the major advantages with mobile mechanics. You don’t need to call a towing car shop to carry your vehicle to the repair shop. They will charge a good deal of money for this work and increase your repair expenditure. You can summon us in critical situations and we will immediately reach the place and try to solve your problem. This will help you to save both your time as well as your money. The pricing of the care repairs is extremely important. Prices are a deciding factor for choosing one repair shop over the other. Our affordable rates make sure that our customers avail the services of our repair shop leading to generations of good business over several years. If you are looking for pre purchase car inspection Columbia, once again mobile mechanics will be the right choice. This is because we are technically well versed with all the parts of the car. We will be able to spot what you might miss. Armed with all the credible and professional information, you will be in a better position to confidently negotiate with anyone who is selling their car. 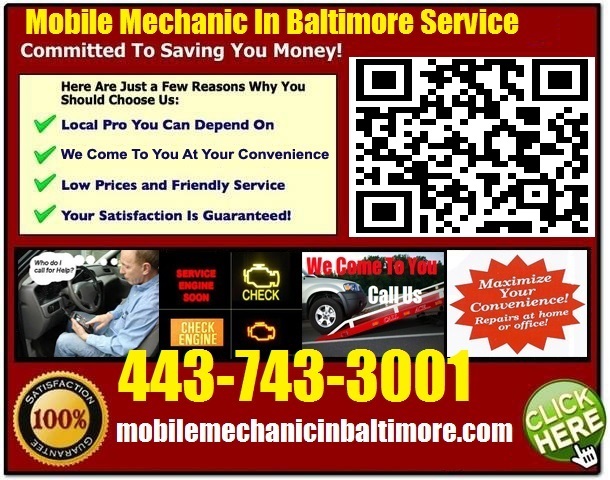 Mobile mechanics are also the appropriate choice if you are looking for foreign auto repair Columbia Maryland. We will have all the specialized equipment as well as the spare parts that would be required for repairs on these cars.